Ford India launched the Freestyle pseudo-crossover towards the end of April, 2018. The Freestyle is based on the Figo hatchback but comes with an SUV-ish styling, more features, and an all-new petrol engine. Prices of the Freestyle start at Rs 5.09 lakh. Last month, Ford India sold 3,027 units of the Freestyle, which is much more than what the Hyundai i20 Active (1,069 units) and Toyota Etios Cross (42 units) could manage. The Ford Freestyle enjoys a great pricing advantage over the Hyundai i20 Active and the Toyota Etios Cross. Prices of the petrol Freestyle start at Rs 5.09 lakh and go all the way to Rs 6.94 lakh. The diesel version costs Rs 6.09 lakh to Rs 7.89 lakh. In comparison, prices of the petrol-powered i20 Active start at Rs 7.04 lakh and go all the way to Rs 8.70 lakh. The diesel version costs Rs 8.10 lakh to Rs 10.11 lakh. Prices of the petrol-sipping Etios Cross start at Rs 7.35 lakh and go all the way to Rs 7.66 lakh. The diesel version costs Rs 8.77 lakh to Rs 9.44 lakh. So, basically, you can buy a top-end Freestyle for roughly the price of an entry-level Etios Cross or i20 Active. Hence, the Freestyle ends up enjoying a clear pricing edge over both its rivals. 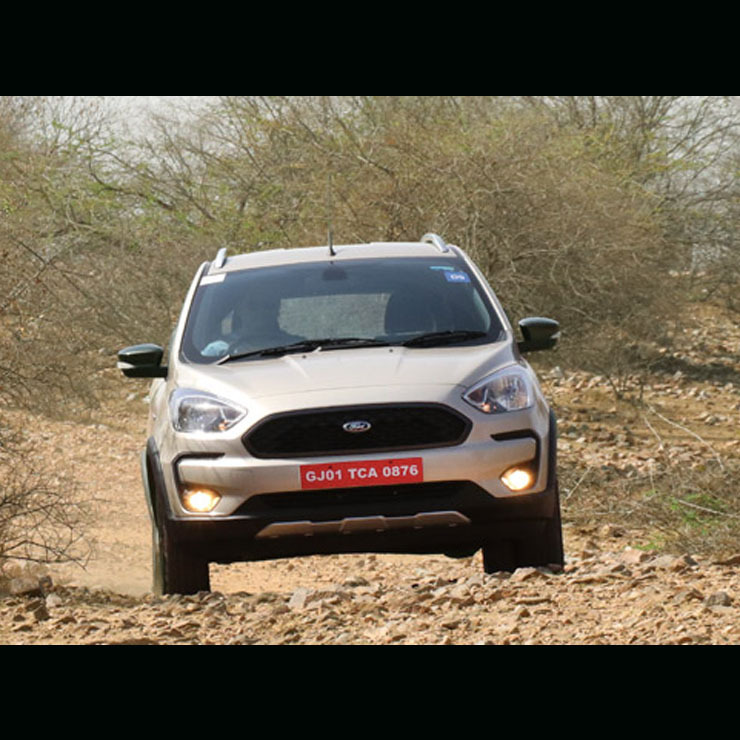 The Ford Freestyle marks the debut of the new 1.2-litre Dragon petrol engine that will even power the upcoming facelifts of Figo and Aspire. This 1.2-litre petrol engine has been derived from the 1.5-litre Dragon petrol engine that was introduced in the updated EcoSport. The engine offers a maximum power of 97 PS along with a peak torque of 120 Nm. This makes the Freestyle a lot more powerful than the petrol-sipping variants of the i20 Active (83 PS) and Etios Cross (80 PS). The diesel version is powered by a 1.5-litre motor that outputs 100 PS and 215 Nm. In comparison, the Elite i20’s diesel version offers 90 PS of maximum power. The Etios Cross offers only 68 PS from its 1.4-litre diesel engine. Hence, the Freestyle has a clear advantage here. It looks like the various advantages that the Freestyle enjoys has helped it become much more popular than its direct rivals.